Mounting brackets are used for LED Rope ans Stripe lights. For long term installation, especially on rough saw wood or concrete. Simply use two small screws (one on each side) for hardware. 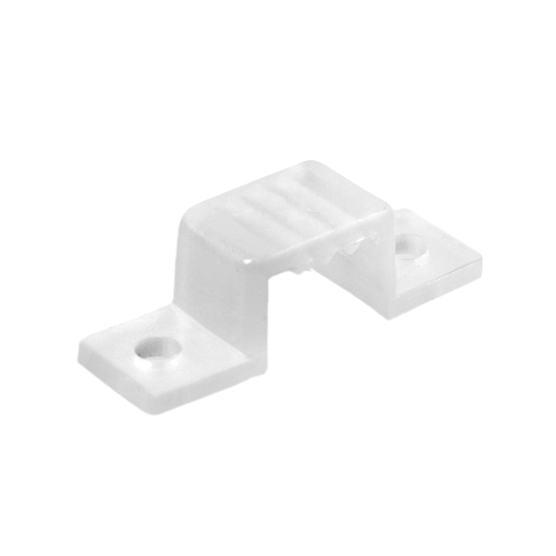 Each bracket is made of soft/pliable material so they will not damage the strip. The bracket is semi-translucent and will not obstruct the LED Lights. For 3/8" Diameter LED Ropes.